Come to Pierce County to play on its two championship golf courses, perched on the shores of the Puget Sound. But don&apos;t miss the region&apos;s best attractions, such as the largest collector car museum on in the country, or the charm of the state&apos;s first city. Head out to The Home Course for your first day of golfing. 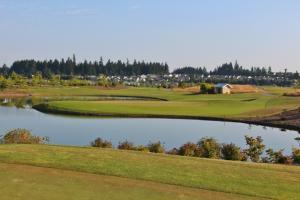 Located in DuPont, WA, The Home Course served as the assisting course for the 2010 U.S. Amateur Championship and was the location for the final U.S. Women’s Amateur Public Links championship. 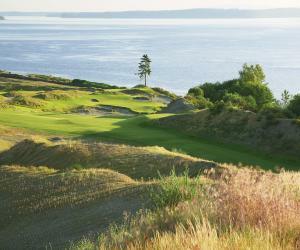 Enjoy a great day of golf amongst the dramatic views of Puget Sound and the Olympic Mountains. Now that you completed your first round of golf, it’s time to head back to The Fairfield Inn & Suites DuPont for some relaxation and to freshen up for dinner. Need a little pick-me-up after a day full of golfing? Head into downtown DuPont and check out one of their local coffee shops. For dinner, head down the road to McNamara’s Pub + Eatery for a hearty meal and some refreshing Pacific Northwest microbrews. Make sure you don’t make it too late of a night; you still have one more round of golf the following morning! Day 2: It’s day two of your Pierce County, WA Golf Getaway, make sure to load up on the complimentary breakfast in the lobby of The Hampton Inn + Suites-DuPont. Today, golf at Chambers Bay Golf Course, site of the 2015 U.S. Open. This 18-hole championship golf course is a traditional, links-style course designed by Robert Trent Jones II and is nestled along the shores of Puget Sound with the snowcapped Olympic Mountains in the background. After completing your round of golf, stop in at Chambers Bay Grill for a bite to eat and a refreshing beverage. Next, head to downtown Tacoma to visit LeMay-America’s Car Museum, the largest car museum in the U.S. and one of the largest in the world. The museum showcases up to 350 cars at any given time and highlights America’s love affair with the automobile. For dinner, dine at Topside Bar and Grill, located in Steilacoom. Relax on the rooftop seating with a beer and enjoy the sweeping views of the Puget Sound.